We are super excited to welcome Leigh Penner to The CLASSroom today! We are betting you have seen Leigh's work as she shares her awesome creative talent with many lucky teams, including Reverse Confetti, and participates in our challenges! Today Leigh is sharing some Confetti Crew love with us, using a fun mix of Reverse Confetti & Essentials by Ellen products! You can see more of Leigh's beautiful work on her blog, To The Full. And while you are there, make sure to leave her some comment love before May 19th for a chance to win a $50 coupon to use in our store! Thank you so much for sharing your talent with us Leigh!!! 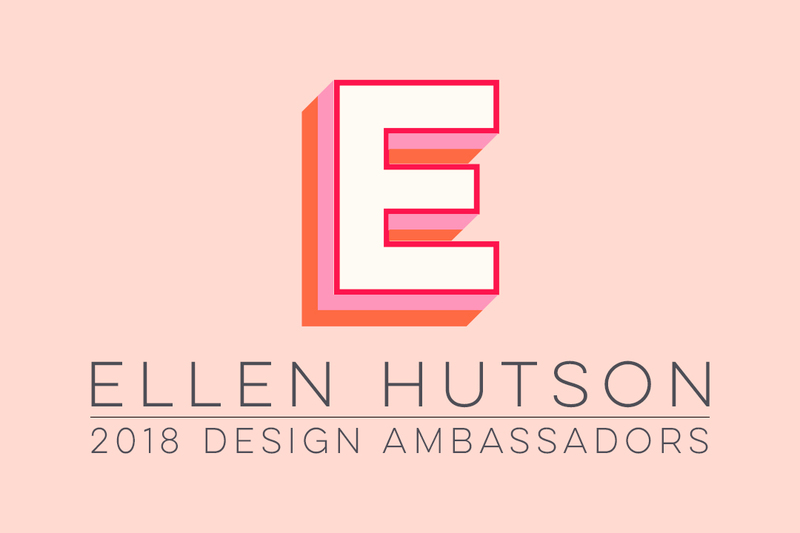 Hi there, Leigh here and I am thrilled to be guest designing in The Classroom, representing two of my favourite companies: Reverse Confetti and Essentials by Ellen! It's a hidden slider card that I created using Reverse Confetti's All About Ewe stamp set and Essentials by Ellen's Swing N Slide dies by Julie Ebersole! Isn't it fun? I stamped my sheep on its coordinating diecut and the fence and bird from the same set onto my background panel and coloured them in using my Zig Clean Color Real Brush Markers and a water brush. I stamped the "thinking of" using Essentials by Ellen's Mondo Hydrangea in Altenew Jet Black ink. I used one of the Essentials by Ellen's Swing N Slide dies by Julie Ebersole and diecut it from a piece of white cardstock. On another strip of cardstock, I wrote "ewe" by hand. I placed this behind my diecut piece of cardstock and ran a strip of dimensional adhesive on both sides of it, making sure it can easily slide back and forth. I flipped it over an added two little pieces of dimensional adhesive onto my strip. When, I diecut my sheep, I didn't diecut all the way to its hooves, so I could extend the die a little (you could always just adhere strips to the back of the sheep as well.) I adhered the sheep's strips to the dimensional adhesive. Now, when I pull on the strip, the sheep slides across the card. I adhered my panel to my card base, where I stamped the fence and bird. Then, I added more dimensional adhesive to the front of the panel, making sure not to put it along the top, where it would interfere with the sheep's movement. Over this, I adhered my green panel, having made sure ahead of time that the strip lines up with the sentiment on the front. When I showed my card to my daughter, she especially loved the fact that the sheep's slide reveals the little bird on the fence -- a fun surprise! Happy Thursday! It's Carly and I'm here for another #throwbackthursdays, where we find inspiration in The CLASSroom archives! This week we are creating with Reverse Confetti, a super sweet new addition to the store! Reverse Confetti has lots of cute designs, some especially fun dies and little critters by Dawn Machell like the adorable mouse I used today! How can you resist? try stamping words/sentiments on your card to create a background and try stamping in something other than black. I used Archival Shadow Gray. to create colored die cuts that match your colored image, scribble swatches of Copic color on cardstock before die cutting. I created envelopes in all the Copic colors I used for my mouse and then used the BG11 & BG13 colored ones on my card. Hope you are feeling inspired to send hugs with Reverse Confetti's Mouse Mail! Have a great day!!! Hello all! It's Reverse Confetti week here in the CLASSroon and gosh, I'm excited! I absolutely adore Reverse Confetti - especially their cute animal stamps! Eek, they're cute - have you seen them? For my project today, I decided to play with their stamps and show how you can use a focal image to create a background! I love this technique and the contrast it provides but also highlights the colored focal image! Next, I stamp the other toucan and some flowers - then I color them all in with my Copics. I place the images together on my card front with a bit of foam adhesive. To add the sentiment, I stamp the sentiment on black cardstock and then heat emboss it with while embossing powder. This really makes the sentiment pop and coordinate with the black and white stamped card base. Finally, I add a dusting of sequins behind my focal image! Thank you so much for stopping by and sharing part of your day with me! I hope you have a wonderful day! Hi there #TexturalTuesday friends! I'm so super happy to be featuring stamps and dies on my post today from Reverse Confetti. My friend, Jen Del Muro, is the owner and creative master-mind behind Reverse Confetti. It seems like just yesterday that she started the company and now? She's got this amazing stamp company that can be found everywhere. So awesome!! From April 10th - April 14th, while we celebrate all thing 'Fetti on the blog, you can score 15% off all in-stock Reverse Confetti stamps & dies at the Ellen Hutson store. The sale ends April 14th at 11:59 PM PDT. This card was so fun to make! I wanted to pick every color of the rainbow for the flowers, but I knew that would have been a hot mess. ;) So I chose colors that were complimentary and then a neutral. I started out by using the MISTI and stamping everything out onto watercolor paper. I used Distress Inks and a touch of water for a bit of a more, well, distressed look. I layered Chipped Sapphire Distress Ink over Peacock Feathers and Ripe Persimmon Distress Ink over Mustard Seed. The Reverse Confetti Blooms 'N Buds Stamp Set has some very unique layering stamps in this set which make it very fun to create with. I was trying to figure out what green to use for my leaves, when I had that realization to go with a neutral. Hickory Smoke Distress Ink makes the perfect neutral. I ran a piece of watercolor paper (for maximum impression) through my Big Shot using an embossing folder. I still love these! Anything that adds dimension and texture is a huge plus for me. I trimmed the panel and rounded the corners before adhering it to my card base. I selected my sentiment from the Essentials by Ellen Clear Stamps, Lovely by Julie Ebersole. The sentiment was stamped onto a die-cut vellum circle using Versafine, Onyx Black and then heat embossed with Wow! Clear Gloss Super FIne Embossing Powder. Another die-cut circle was adhered on top of the vellum and then, using foam squares, the entire piece was adhered onto the card (slightly off-center). The last thing to do is to tuck in (adhere) the die-cut flowers and embellish!